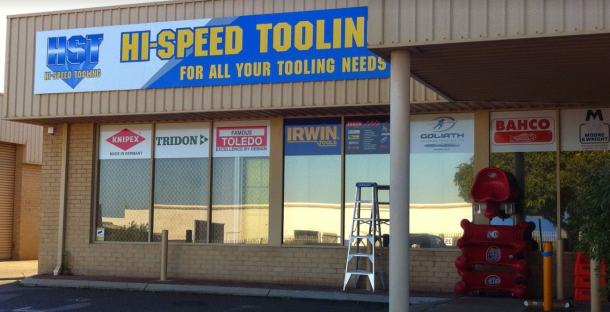 Hi-Speed Tooling is a family owned and operated Western Australian business established in 1997 and has grown to become one of the largest suppliers of engineering and tooling supplies in WA. The Hi-Speed Tooling success story is built on our firm focus on excellent customer service, and prompt delivery of quality supplies. Our team maintains excellent product knowledge of our wide range of quality engineering and tooling supplies that includes quality brands like Goliath, Dormer, Mitutoyo, Taegutec, Kennametal, Seco and more. We also supply a wide range of general hand & power tools to satisfy every tradesmen’s needs. Browse Hi-Speed Tooling products and specials here on the website, or visit us in Welshpool to see more of our great range and competitive prices.